Home #WeightLossWednesday Weight Loss Wednesday: Hello Summer! 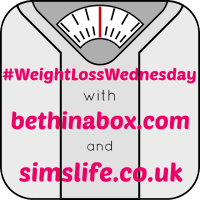 Welcome to Weight Loss Wednesday Linky! How are you all doing this week? I took last week off, simply because I needed it and I featured a post of me in a dress. That really doesn’t happen often and if anything it was quite refreshing! The shake diet continues after a few days off over the weekend to enjoy meals out with friends and food during the England match… I’m not bothered about enjoying a beer with the football, but by heck did I need some food. So now I am feeling terrible about halting my diet… again, but life is too short! How could I not be tempted by this awesome birthday cake at the weekend? I had been planning on enjoying a day off next week due to attending a festival, that at the beginning of the week was cancelled. The heartbreak over that did see me reach for food and clearly I still have a thing for emotional eating, but am getting there. At least it means I can continue the diet through for the next month and make a good go at getting below my original target. With set goals and targets in mind, the shakes and the gym are going to keep me going and sitting here writing this post after an awesome gym session is spurring me on! After a shopping trip with Jenny earlier in the week, I know I am still not in the place I want to be where I can easily buy the summer wardrobe I would like for holidays. I am going to reschedule another shopping trip for 2 weeks and am hoping I shall be pleasantly surprised. Unfortunately by that time, the stunning dress I featured last week will be far too big for me. 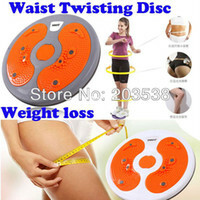 What do you do with clothes that you have now outgrown due to weight loss? I have a drawer with large jumpers which I highly doubt I will ever get rid of as they are perfect to slob around in. However having clothes around that are now too large is not helping me understand how far I have come. How do you make the transition over with your wardrobe? I feel the same after abandoning my diet over the weekend. I’ve been having a tough few weeks depression wise and my go to has always been food.